… and drop ‘em off at arrivals. It's simple: there are more departures in the morning, and more arrivals in the evenings, so just pick the one that’s less busy. 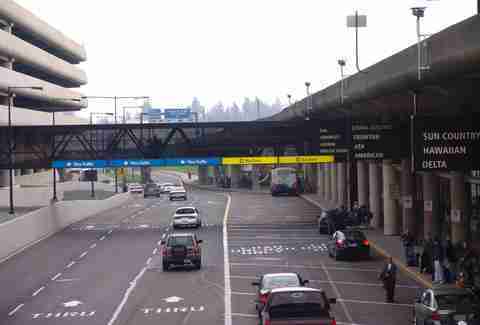 At worst the person you’re dropping off/picking up will have to take an extra escalator ride, and we promise you won’t get in trouble… the Port of Seattle actually recommends this. 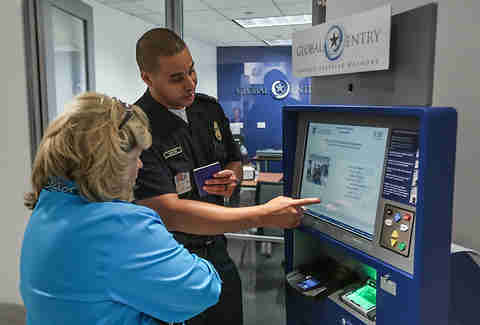 You can now apply for TSA PreCheck for $85, or spend just $100 for Global Entry and get expedited Customs & Immigrations as well as PreCheck. That means a faster line and no need to remove your liquids, keys, laptops, shoes, belt, or chain wallet. The airport and most airlines offer access to private “first class” lounges for about 50 bucks, but the best deal is Alaska Airlines' Board Room, a two-level lounge with sweet views of the runway/mountains that’s open later than all the others (10:30pm), serves gratis craft beer/vodka-based cocktails, has comfy chairs, and best of all serves pancakes! Pro tip: the downstairs is usually crowded so take the easy-to-miss stairs by reception to second level. 4. Get some exercise… and culture? Yup. 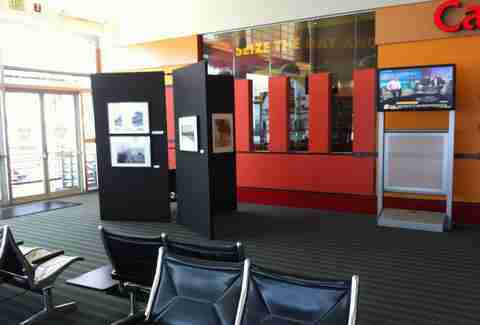 Sea-Tac boasts more than 100 works of art by 59 regional and international artists, some of great renown like Frank Stella, Louise Nevelson, and Robert Rauschenberg. There is literally art everywhere, from baggage claim to some of the restrooms. 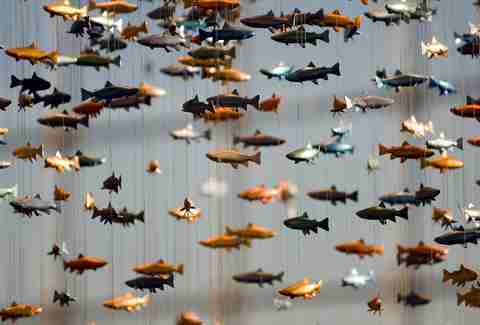 There's also a digital, self-guided tour, including more than 16 permanent art installations and several rotating temporary exhibits, that’s over a half mile long… one way. Crowds too much for you? 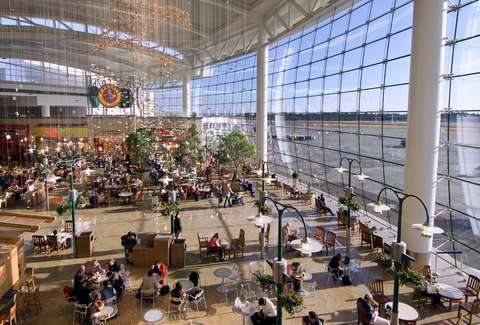 Sea-Tac’s got a Quiet Zone on Concourse B (near Gate 4) that still has outlets, free Wi-Fi, etc., but doesn’t have any obnoxious TVs or overhead announcements. There are also a dozen rocking chairs looking out the giant window in the Central Terminal, and if you really need to get away, a meditation room on the mezzanine. There is a reason that the Anthony’s Restaurant in the Central Terminal is the highest grossing sit-down restaurant at any US airport. 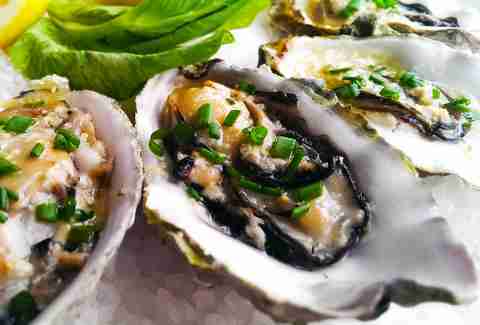 Actually several reasons and they include wild Alaska salmon, dungeness crab, Anthony’s signature Wild Mountain Blackberry Cobbler, and more. Or if you’re really smart, just ignore the announcements all together and board last. Unless you are in first class, do you really want to spend any extra time in an airplane seat? Not only do Macklemore, Sir Mix-a-Lot, and other local musicians do the public safety/service messages you hear during the airports overheard announcements, but the airport also spins local music that you can listen to between the aforementioned announcements or on Sea-Tac’s own web radio station, which you can find on the free Wi-Fi landing page. 9. Need something? Try Ken’s. 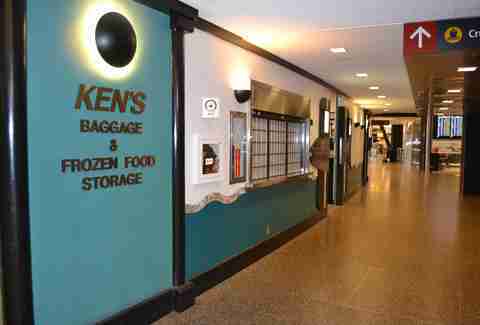 Tucked away in baggage claim, between carousels 12 and 13, is a shop called Ken’s Baggage and Frozen Food Storage that will do… um, pretty much anything for you. Need to rent a car-seat for your kid or get a document notarized? Want to make some copies or jump start your car? Maybe store your gun? No problem. If you live West of the freeway there's really no excuse not to. Seriously, you'll thank us.